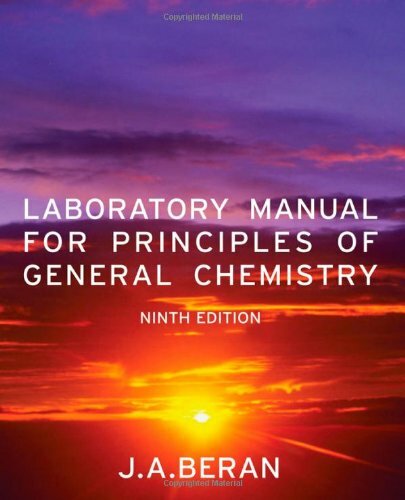 Jo Allan Beran, "Laboratory Manual for Principles of General Chemistry, 9th Edition"
This new edition of the Beran lab manual emphasises chemical principles as well as techniques. The manual helps students understand the timing and situations for the various techniques. The Beran lab manual has long been a market leading lab manual for general chemistry. Each experiment is presented with concise objectives, a comprehensive list of techniques, and detailed lab intros and step-by-step procedures.